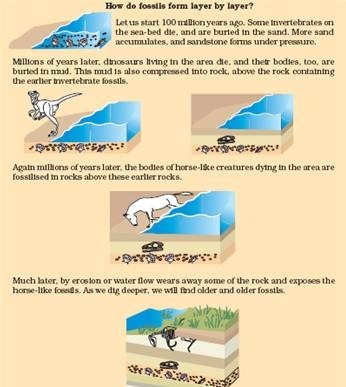 How do we know how old the fossils are? There are two components to this estimation. One is relative. 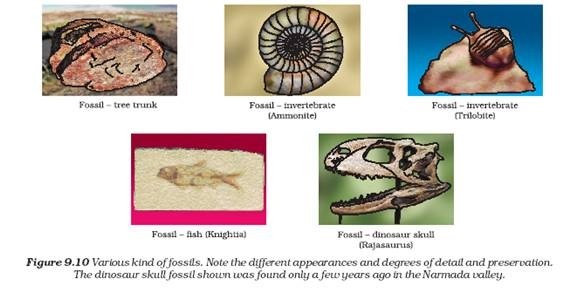 If we dig into the earth and start finding fossils, it is reasonable to suppose that the fossils we find closer to the surface are more recent than the fossils we find in deeper layers. The second way of dating fossils is by detecting the ratios of different isotopes of the same element in the fossil material. It would be interesting to find out exactly how this method works! plzzz.. give extra ques/ans also…………..